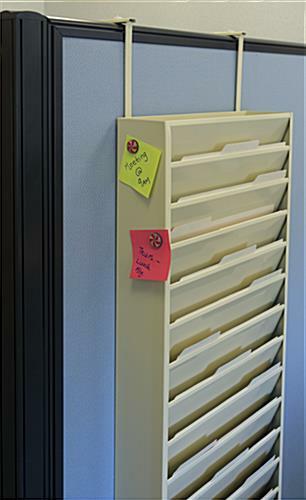 This medical chart holder in tan metal blends with any decor, and is rust and acid resistant to last for years. 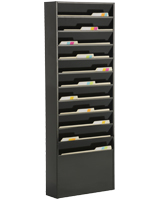 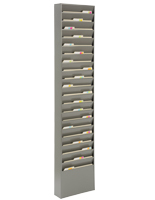 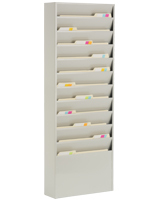 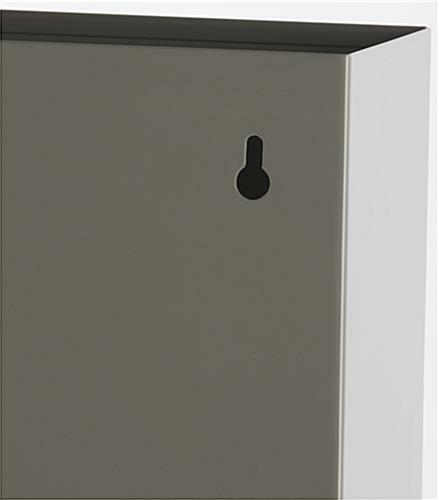 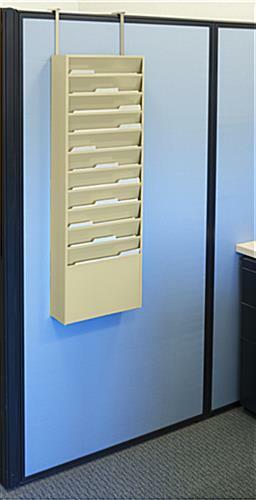 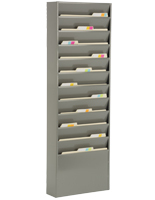 This literature wall rack keeps confidential documents out of sight, yet within easy reach of doctors or nurses. 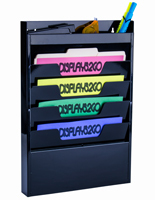 This medical chart holder, document display, can also be used for storing mail or sorting other paperwork and bills. 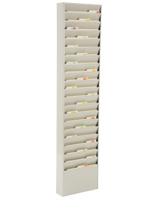 Unlike acrylic magazine holders, these tiered units are super sturdy and have (11) places for docs! 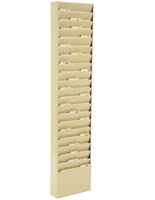 This medical chart holder gets mounted in a reception area or in an office, with hardware shipped with the unit. 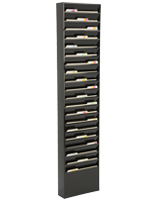 Make an information center by buying a bunch of units in bulk!